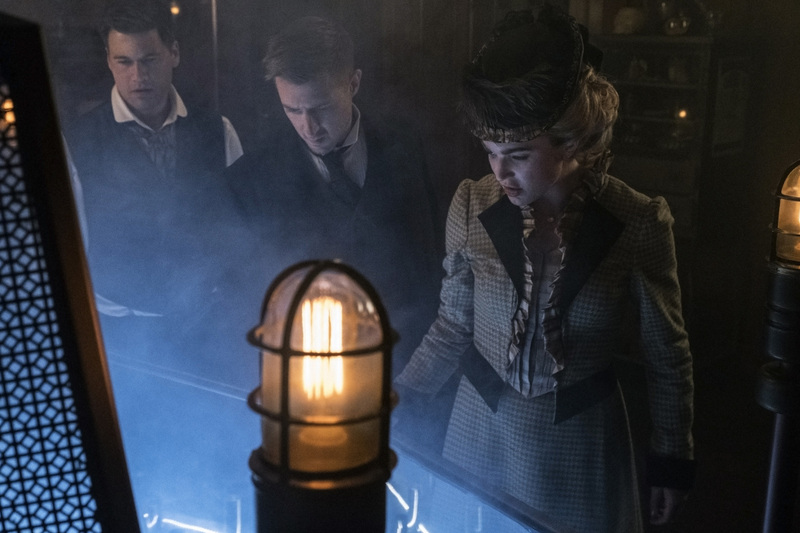 Episode 3×05 “Return of the Mack” — When Nate (Nick Zano) thinks he has found a pattern to the anachronisms, it leads the Legends to London in 1897 to hunt down a time-traveling vampire. When they arrive in London, they run into Rip (guest star Arthur Darvill), but not everyone welcomes him back so quickly, leaving Sara (Caity Lotz) to make a tough choice in the end. Amaya (Maisie Richardson-Sellers) tries to connect with Zari (Tala Ashe), but she is still struggling with being part of the team. Meanwhile, Stein (Victor Garber) discovers what Ray (Brandon Routh) and Jax (Franz Drameh) are up to and is not entirely pleased. Dominic Purcell also stars. Alexandra La Roche directed the episode written by Grainne Godfree & Morgan Faust. Air Date: Tuesday, November 7 (9:00-10:00 p.m. ET) on the CW. DC's Legends of Tomorrow -- "Return of the Mack" -- Image Number: LGN305b_0335.jpg -- Pictured (L-R): Nick Zano as Nate Heywood/Steel, Arthur Darvill as Rip Hunter and Caity Lotz as Sara Lance/White Canary -- Photo: Cate Cameron/The CW -- © 2017 The CW Network, LLC. All Rights Reserved.